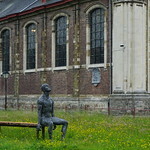 Kunst kijken in het Unesco Begijnhof OLV - Ter Hoyen ! Open house in the authentic Unesco World Heritage Beguinage Our Lade of Ter Hoyen, a unique visit in Ghent ! Ook als gids weet Gent je telkens weer verrassen ! 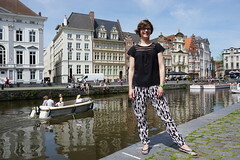 UN PASEO GUIADO EN GANTE CON GHENT-AUTHENTIC GUIA KELLY ! 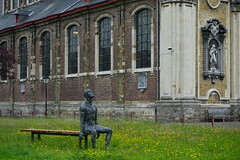 Ha vivido en Oudenaarde (Bélgica), Tours (Francia), Granada y Valladolid. 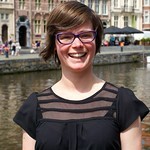 There's a new Ghent-Authentic tour guide in town ! Meet Kelly ! 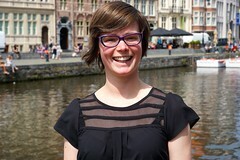 As a specialist in romance languages and journalist, Kelly lived and studied in France and Spain. 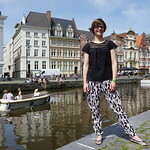 However her passion for her hometown Ghent made her come back, settle down and get her three little 'Ghentians' ! Working as a copywriter and creator of out-of-the-box advertising concepts, Kelly's days are filled with stories and creativity. Together with her kindness and versatility, these qualities make Kelly the great urban storyteller she is !